The Larks: New Larks Album Now Available! New Larks Album Now Available! The Larks are thrilled to announce the release a new live album! 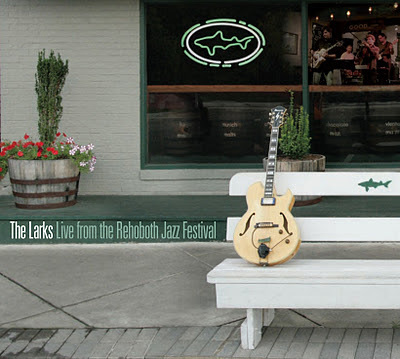 The music was recorded during the 2010 Rehoboth Jazz Festival and captures the essence of what The Larks experience is all about. The energy in the room that night was electric and it translates well on to the recording. The highlight is a more than 18 minute jam of the Curtis Mayfield anthem "Pusher Man" into the Herbie Hancock funk classic "Cantaloupe Island." The CD contains nearly 79 minutes worth of music.